The Pollinator Talks & Tours on August 3 is a terrific opportunity to learn more about pollinators, plants and take a tour of pollinator habitats. 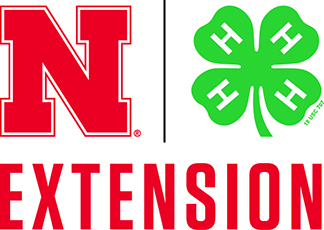 The tours will be led by staff from the University of Nebraska-Lincoln (UNL) Department of Agronomy and Horticulture, Entomology, Backyard Farmer, Nebraska By Heart, Nebraska Forest Service and Nebraska Statewide Arboretum. 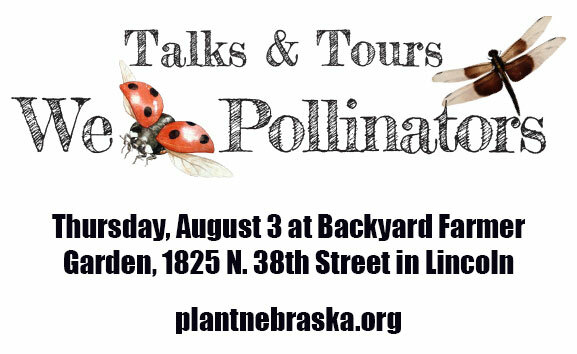 All events (with the exception of the 2 p.m. tour) begin from the Backyard Farmer (BYF) gardens east of UNL Keim Hall, 1825 N. 38th St in Lincoln, Nebraska. At the BYF garden, FREE herbal tea will be available and for kids—pollinator activities, face-painting and make-your-own antennae. 2 p.m. Tour of Union Plaza pollinator plants starting from 2228 N. 21 St. This event is sponsored by the Nebraska Statewide Arboretum, arboretum@unl.edu, 402-472-2971. Parking: Pink areas on this map http://maps.unl.edu/east/ show visitor meters near the BYF garden, located between Fair, Center and N. 39th Streets. NOTE: some pink areas are reserved for dental patients and Dairy Store only. Looking for more family fun on August 3? Every Tuesday Lancaster County Master Gardeners assist Dave from our office at the City Mission Garden. Dave started the garden a few years ago as education outreach for Mission residents who wanted to learn to garden. Residents come and go, but Dave and the master gardeners are there consistently through the spring, summer and fall. Vegetables are collected each week and used in the City Mission kitchen. Today they had broccoli, onions and herbs. Master Gardener Jane planted wildflowers and now there is a beautiful pollinator garden too. She hopes to have a good selection of plants that bloom during each season to apply for the Nebraska Pollinator Habitat Certification Program.